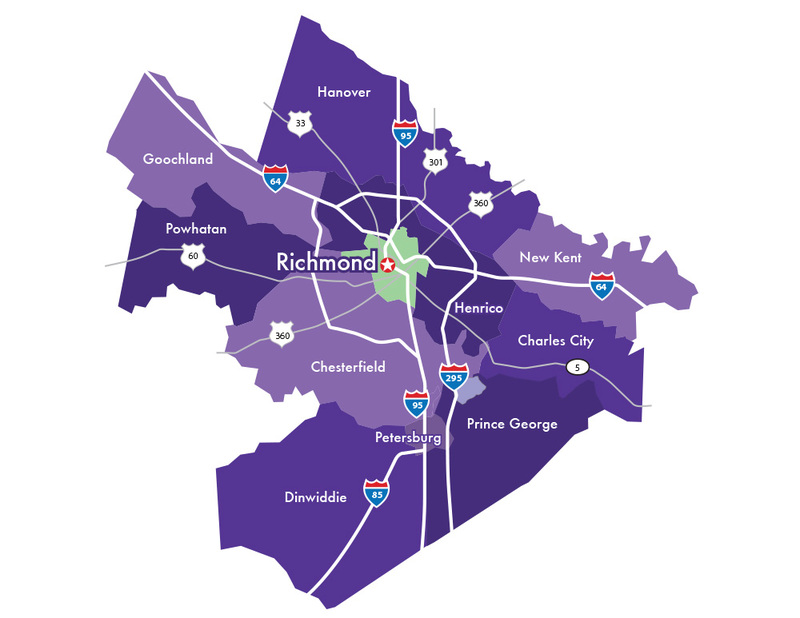 RideFinders' supports these vanpools servicing the Greater Richmond area in locations such as Chester, Chesterfield, Colonial Heights and Midlothian. We also serve long-distance commuters to Washington D.C. and Blackstone and from Hampton, Williamsburg, Fredericksburg, and Charlottesville. To learn how you can start ridesharing from your area contact us (or call (804) 643-7433).